Should you allow your child to play games online? Some say yes and some say no. In moderation, online games for kids can be beneficial. Learn about online games for kids that are productive, and educational.. This can be a very controversial topic for parents. However, taken in moderation, and monitored properly, children can benefit and even learn from online games. There are many different online games for kids. For several years, parents have frowned upon the games that are available to their children. However, after many conclusive studies on gaming and children, researchers have established that online gaming may be beneficial (http://blog.wired.com/games/2007/07/study-online-ga.html). 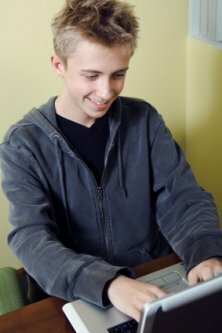 The benefits range from developing social skills in the virtual environment, increasing the ability of the child to successfully maneuver around and operate a computer, increasing emotional intellect, and assisting in the academic endeavors of the child. Here, you will learn about online games for kids who are productive, and educational. 1. Children who engage in playing this game can enjoy the reward of “beating” each board. In turn, this raises their confidence and also instills a sense of accomplishment. Children can learn that setting small goals can help them master much larger games – both in online gaming as well as their lives. Children who play games online are able to enjoy the reward and satisfaction that comes with the small goals that are often established in games. To clarify what I mean, I will take the game of “Zuma” that is quite popular on websites like Shockwave. The small goals are to clear the boards that are necessary in order to reach the end of the game. 2. If children engage in online gaming that involves playing with other children from other areas of the world, they can benefit in that they learn the importance and fun when it comes to sharing and taking turns. In addition to this, children can learn about other people, and cultures in the world. In turn, this may lead to online friendships that can be beneficial to their social growth and development. 3. The next advantage to playing games that involve other players is that your children will learn how to cooperate in a team setting. They will start to gain an understanding that each of us has a unique set of skills and talents that are important for us to fulfill certain roles in life – both in game play, and in the “real” world. 4. There have many conclusive studies that indicate that children who play games that are video based on a regular basis have better eye-hand coordination than those children who do not play video games. This can be extremely beneficial in numerous ways to a young child. 5. There are a number of games that are available online that focus on challenging the mind of the individual who plays it. These are often referred to “logic” games. If you check out Shockwave online, a popular gaming website, you will discover several games that can actually enhance the intellect of a child. These games can assist in teaching children the important concepts of cause and effect, and enhance the math and computation skills of a child. Games like “4 Elements”, “Super Text Twist”, “Jewel Quest”, “Bejeweled”, “Mah Jong”, “Collapse”, “Turbo Pizza”, and “7 Wonders” can challenge the mind of a child. 6. When a child plays online games, it has been found that the technology skills that are necessary to live in today’s world are greatly enhanced. Literacy in computers and the internet are quickly becoming basic skills that are required to enter the workforce today. This type of activity may very well contribute to the child’s ability to succeed in their educational career, as well as their professional career! 7. Children who play online games can learn how to multitask in an effective manner. There are many different online games for kids that will teach them this very important task. “Diner Dash”, “Cake Mania”, “Virtual Villagers”, and “Turbo Subs” are examples of these types of games. 1. You should monitor the activities that your child takes part in online closely to ensure that they are appropriate, and that they are not being exposed to topics, themes, and language that is inappropriate. 2. You should advise your child to refrain from giving out personal information, such as their name, age, and location. 3. You should ensure that if your child is required to enter any game “rooms” online that they are age appropriate and carefully monitored. By allowing your child to play games in the virtual environment, you are providing them with a fun way to grow and develop as individuals. As long as you take the appropriate internet safety tips, online games for kids can be a positive experience in numerous ways! I believe playing is the best way for kids to learn new things without even knowing it.